At some point, everyone knew, Netflix’s subscriber growth in the US had to slow down. The company’s video streaming service is nearing market saturation among its core demographic — affluent young-to-middle-aged people — meaning further gains will be harder to come by. 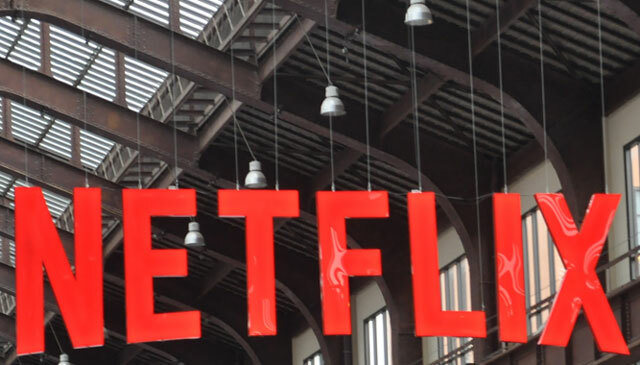 Still, it was a bit of a shock for investors to learn from Monday’s earnings report that Netflix had added only 160 000 US subscribers in the second quarter — a 0,3% gain over the previous quarter. International subscriptions grew by a more impressive 1,52,, but that was below what the company had forecast as well. The earnings report was seen as a major stumble, and Netflix’s stock has taken a battering. Still, since we all knew this US slowdown was coming (to be followed several years down the road by similar slowdowns overseas), it seems like the really important question is how Netflix copes with it. Does the company have the ability to get more money out of each subscriber as subscriber growth slows? So far, it looks like the answer is yes — albeit not a lot more money. In 2013, Netflix began experimenting with tiered pricing that charged new US subscribers more for higher video quality and the ability to stream on multiple screens at the same time. As it rolled that out, revenue per subscriber (average revenue per user, or Arpu, is the standard industry term) began a steady rise. In the second quarter, Netflix began “un-grandfathering” longtime subscribers and putting them on the tiered plan, too — leading to a 4% increase in revenue per user over the previous quarter, but also a lot of churn as irked customers cancelled. The “un-grandfathering” in the US won’t be completed till November, so the rest of the year could be interesting. Still, the second quarter is usually the weakest one for subscriber growth at Netflix. Annual subscriber growth will surely be substantially higher than the 1,2% that the second quarter numbers imply (it was 14% in 2015). Revenue per subscriber, meanwhile, has been rising at about a 5% annual pace since early 2014. Put those together, and you’ve got a company that can keep revenue and earnings growing, even in its most mature market. How much can they grow? At $8,55/month, Netflix’s per-subscriber revenue has a long, long way to rise before it gets anywhere close to cable giant Comcast’s $82,41. On the other hand, the same technological changes that have allowed Netflix to disrupt cable TV at a relatively low cost mean that other streaming services face low barriers to entry as well.